Although I still have yet to settle into a position many people term “a real job,” I’d always been given the impression that college can be “more real” than “the real world.” My Monday mornings began at 6 a.m. with my job delivering the school newspaper, continued through midday and evening classes, labored through the occasional telephone interviews I could fit while at the video rental job and ended with spaghetti and heavy craft beer dinners. Repeat through the week. I gained 10 pounds between the inactivity (save the mental fatigue), and starch-based meals. Not kidding, the event was instagram worthy! 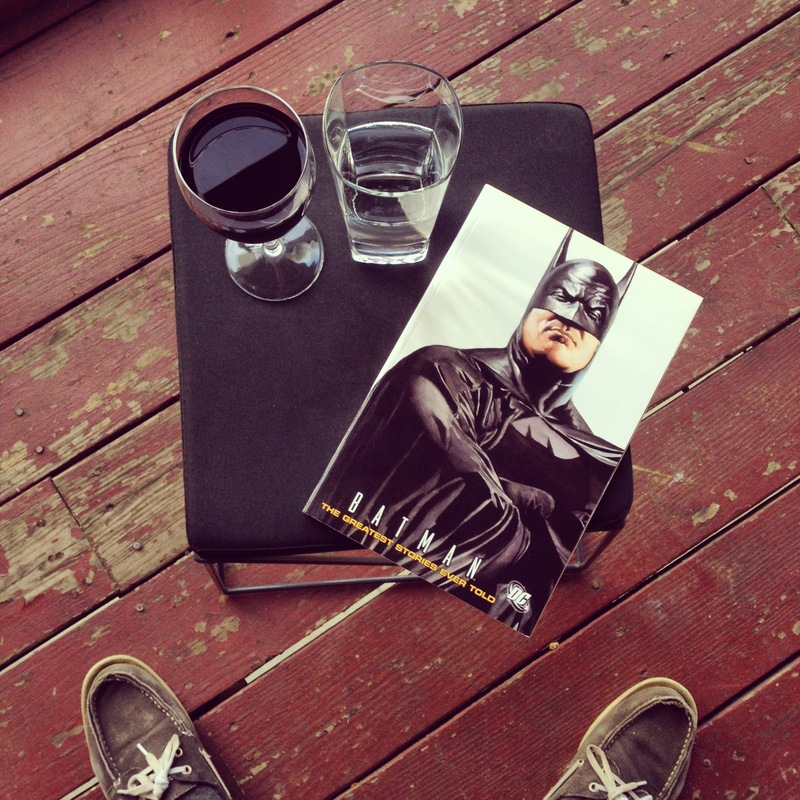 The reality of my immediate post-graduation situation (hereafter referred to as the “gradsitch”) was wine drinking and the reading of Batman comics. I had the idea of using a small amount of savings for road trips and “self-discovery,” but as much as I wanted to revel in unemployment and Netflix binges, I was fortunate to have opportunities present themselves to me. While I stared at the wall one morning, Chris LaMartina, a friend and former Towson EMF graduate himself, called to invite me to intern at his job. LaMartina is a creative director for 15Four, a digital marketing agency based out of the Hampden neighborhood in Baltimore. The assignment for the summer interns was to produce social media video content capable of sparking conversations between consumer and business – a form of what is called “brand engagement.” After hearing LaMartina’s pitch, I imagined making Chuck Testa-esque viral videos for Hampden businesses like Bazaar and The Charmery. The directing and editing seats were already filled for the summer, so I would be joining the team as the producing intern. It would be my responsibility to communicate with the clients, schedule the shoots, and to realize our productions from ideation to edit. 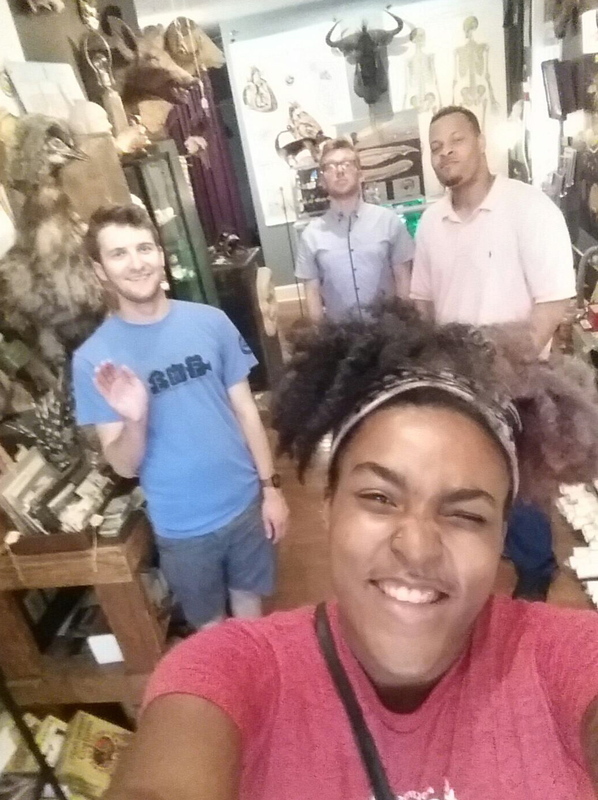 Leslie Napper, editing intern, takes a selfie of our production at Bazaar. Beyond producing fun, short-form social media content, I was excited by the idea of exploring the client-producer relationship in a low-stress work environment. The content we produced was intended to quickly capture attention and to drive a dialogue – outside of those parameters, the interns were given nearly free reign over our projects. 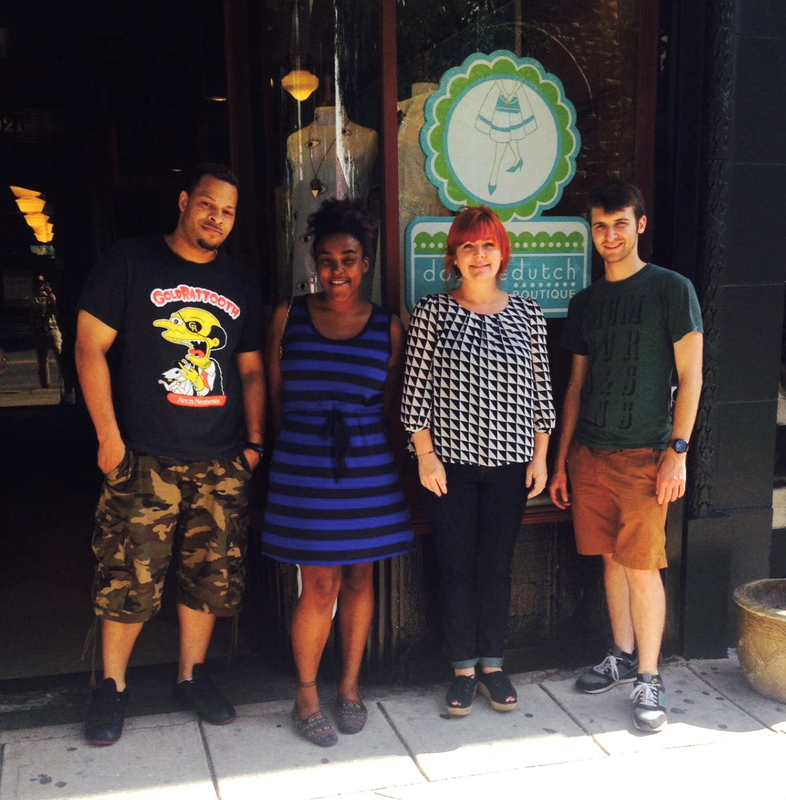 Left to right: Dominic Kelly, directing intern; Leslie Napper, editing intern; Lesley Jennings, owner of Doubledutch; Mark Burchick, producing intern. Considering that my end goal is to produce documentaries, I really looked forward to being able to discuss with my clients what their ideal social media experience looked like for their brand and then helping them to realize that. I originally began college with my double major in advertising, before switching to journalism, so I was familiar with this relationship and knew that I enjoyed it. My hope is that this experience provided me with a glimpse into the producing world that I hope to be a part of. The businesses we ended up producing for included Bazaar, a “curiosities and oddities” shop in Hampden, Doubledutch Boutique and Sixteen Tons, which are specialized clothing stores individually managed by a husband and wife team, and Collectors Corner, a comic book store in Parkville. Each client expressed different needs for their social media content, which became my job to negotiate with my directing partner. 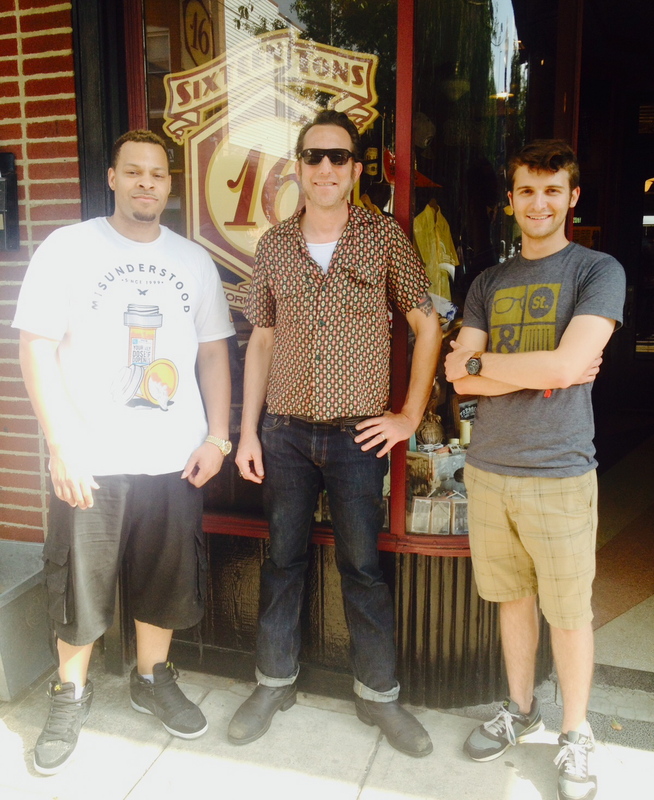 Production crew for the Sixteen Tons shoot outside of owner Daniel Wylie’s storefront. The videos we produced will be distributed over the next few months on the business’s social media pages. I’ll continue to repost them here on my blog to highlight some of the proud work we accomplished. The internal crisis of the gradsitch (I’ve submitted the definition to Urban Dictionary) typically revolves around the issue of money. Free work is to be expected at this time, especially in freelance careers such as film, journalism, and marketing. I was happy to accept the internship at 15Four because it would expose me to the producing world I was unfamiliar with, as well as getting my foot in the door at an awesome company. With that said though, I was hemorrhaging money. 15Four was very gracious to let me take off work for the occasional paid freelance gig, but then Z*Con came along and all bets were off for my wallet.